You are currently browsing articles tagged farming. Having reached the cataloguing milestone of finishing all 1300 or so records from 1951, I thought it would be good to share some of the things I’ve catalogued. 1951 contained several large collections of objects – the Lavinia Smith Collection, the H. J. Massingham Collection and the Shickle Collection of Friendly Society Poleheads – which definitely helped speed up the cataloguing. Lavinia Smith was an American who lived with her sister, Frances, in the village of East Hendred in Oxfordshire (formerly in Berkshire) until her death in 1944, aged 73. 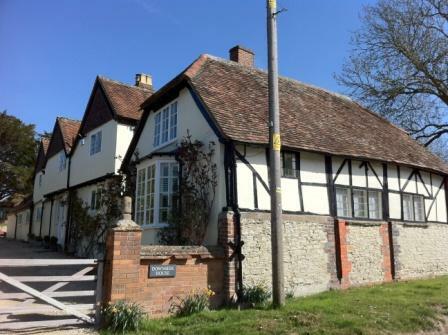 She gathered objects from friends and neighbours in the East Hendred area, and even found some at the village dump, and displayed them to visitors, especially children from local schools, at their house in the village, ‘Downside’. When Lavinia died, the collection was bequeathed to Berkshire Education Services, and later transferred to the Berkshire Archives at MERL. A view of Downside, where Lavinia Smith lived. The Lavinia Smith collection at MERL contains over 400objects – including agricultural implements, animal traps, animal bells and shepherds’ crooks, horseshoes and harnesses, woodworking and metal working tools, fireside and cooking equipment, and much much more! Try searching for ‘Lavinia Smith’ in our online catalogue. Further Lavinia Smith material is held at the East Hendred Museum and details can also be found here. Our records at MERL also contain a list of many of Lavinia Smith’s donors, along with their occupations, which provides interesting contextual evidence – and could be an interesting avenue for future research. 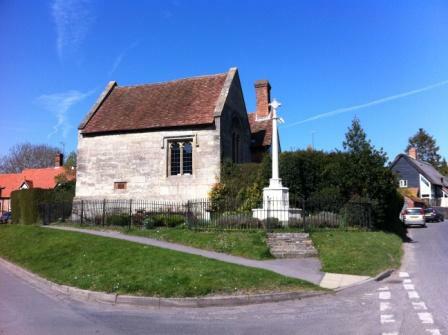 The East Hendred Museum, housed in Champs Chapel. So, having spent the best part of a month cataloguing the Lavinia Smith Collection, I had a really strong urge to visit East Hendred (and take my photo next to the village sign – but my arms weren’t long enough to fit me and the sign in the same photo) and decided to head off one sunny Sunday and see what sort of a place it was. As it turns out, East Hendred is one of the most beautiful villages I’ve ever been to! Unfortunately the East Hendred Museum was closed on my visit, but I spent an hour or two walking around and enjoying the sunshine, and I can see why it would have appealed – it was very ‘English’ and very ‘Midsomer Murders’. However, there wasn’t much sign within the village of the agricultural way of life that Lavinia Smith’s collection documents. Until this project, I’d never heard of East Hendred, and so had no idea what it was like and had no context in which to catalogue the Collection – visiting it has made it a ‘real’ place far more than looking at it on a map did. 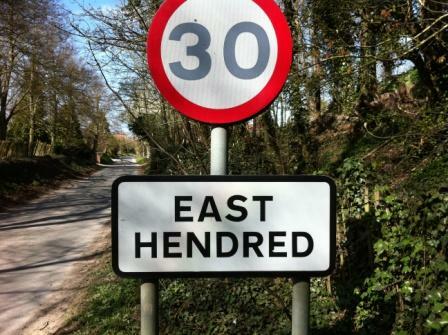 Incidentally, East Hendred is one of those difficult places we’ve encountered which has been affected by changing county borders – from Berkshire to Oxfordshire – and is brilliantly illustrated in this ‘Best Kept Village’ sign from the 1970s. And on the way back into Reading, across the Berkshire Downs, it was pleasing to recognise lots of place names that I’d encountered in the cataloguing. I’m from Cambridge and don’t know this area at all, but I feel that I’m slowly starting to piece together a map in my mind of where places around here are. 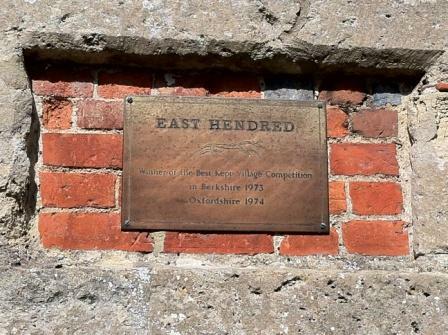 So my visit to East Hendred helped me improve my ‘sense of place’ in terms of the context in which Lavinia Smith was collecting and of my geographical knowledge of the Berkshire/Oxfordshire area.